Welcome to your next home in Cedar Mill w/ attached 2-car garage. The stunning 2-story great room has tons of natural lighting, moldings, & beautiful fireplace w/ decorative surround. Spacious & open floorplan features new rustic laminate wood floors throughout main level. Kitchen has 42" cherry-colored cabinets, SS appliances, plenty of counter space, & breakfast area w/ awesome view of fenced backyard through the sliding glass door. Downstairs also features a separate dining room (could easily be used as office or playroom). Laundry/mudroom as you enter the home from garage. Upstairs you will find all the bedrooms. The master suite features large bedroom, w/ tray ceiling & fan. In the ensuite bath is a double vanity, jetted garden tub, separate shower, & walk-in closet. Additionally there are 2 secondary bedrooms & hall bath. All new carpet upstairs. 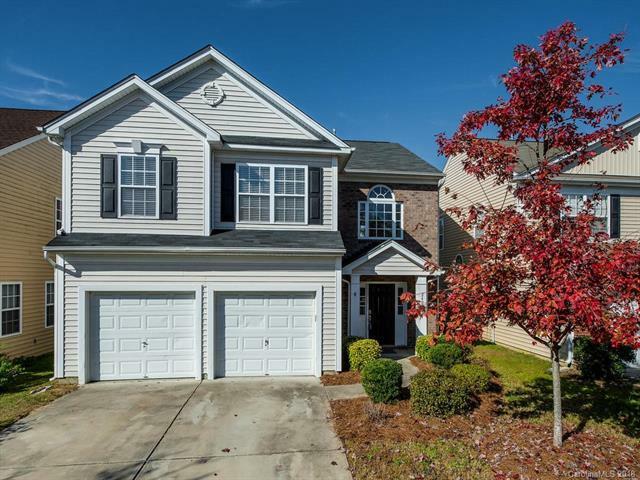 Conveniently located near 485, 85, airport, shopping & restaurants.